Nithya Senani Samaranayake who functioned as a director of two companies owned by Hambantota district MP Namal Rajapaksa was ordered remanded till August 22 by a Colombo Court for her alleged involvement in money laundering amounting to Rs.45 million. 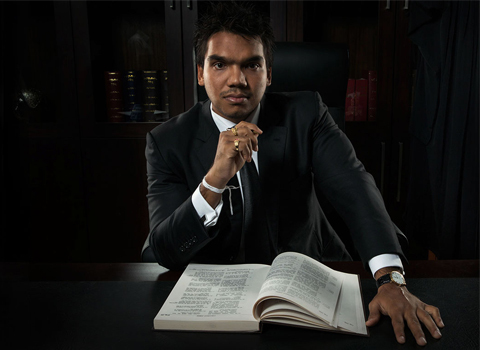 On Monday (15) MP Namal Rajapaksa and Sudarsha Bandara Ganewatta who were arrested for their alleged involvement in laundering money to the amount of Rs.45 million in two companies owned by Namal Rajapaksa, were also ordered remanded till August 22 by Colombo Additional Magistrate Lanka Jayaratne. 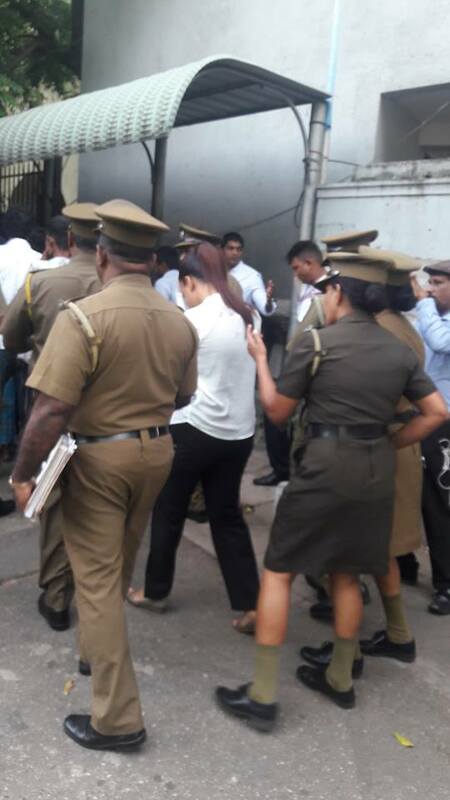 The suspect Nithya Senani Samaranayake was arrested on the charge of aiding and abetting to commit this offence, being a director of NR Consultation Private Ltd and Gowers Corporation Pvt Ltd.
She was ordered remanded till August 22 on the grounds that the prosecutors were yet to conclude their investigations. The FCID have commenced investigation into a complaint that MP Namal Rajapaksa had purchased Hello Corp.Pvt. Ltd for Rs.100 million using ill-gotten funds of Gowers Corporation and NR Consultation Pvt Ltd, allegedly owned by Namal Rajapaksa. The FCID informed Court that investigations revealed that MP Rajpaksa had been allegedly involved in money laundering to the amount of Rs. 15 million at NR Consultation Pvt Ltd and another Rs.30 million in Gowers Corporation Pvt Ltd, in 2012. Police alleged that money laundering transactions had been taken place through a company named Boston Capital, allegedly owned by Rohan Iriyagolla and he has revealed everything in this regard. Police told Court that the suspects could be charged under section 3(1) of the Prevention of Money Laundering Act, which is considered as a non-bailable offence. Defence counsel Sampath Mendis appeared on behalf of the suspect. Inspector Saajith of the FCID prosecuted. Police said they were unable to record a statement from Sujani Bogollagama since she is currently receiving treatment at a private hospital and that another suspect Senani Samaranayake was not at her resistance. It was reported that Gowers Corporate Services (Pvt) Limited of Colombo 05, is providing coordinating services to Sri Lankan Airlines. The FCID had initiated investigations into this matter following a complaint made by Voice Against Corruption Convener Wasantha Samarasinghe. Samarasinghe alleged that MP Namal Rajapaksa had bought shares of a company named Hello Corp and set up a company called Gowers Corporate Services (Pvt) Limited while being a MP, from the Rs.125 million he earned through illegal means.